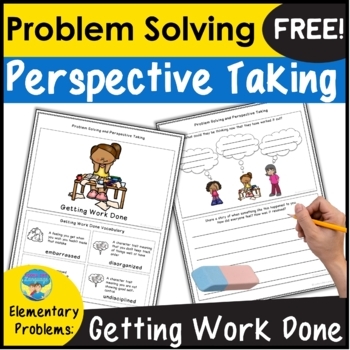 Taking perspectives, solving problems, emotion and character trait vocabulary all in fun, easy to use sets! I know my students have problems in all of these areas, so each packet builds these skills in each problem scenario. 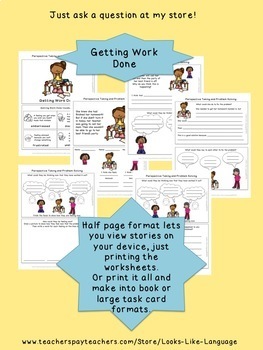 Now you can try out one unit, "Getting Work Done" for FREE and see if it is right for you! The half page format will let you easily view the PDF on your device as a basis for discussion, just printing the worksheets. Or you can print the entire set and format it as separate booklets or as large task cards! SAVE $$ with the bundle!